I’ve been cranking hard body lures for over 25yrs now and while I have spent plenty of time mixing it up with soft plastics and vibes, the last couple of years has seen my passion for hard body really reignite. There is nothing quite like the feeling of a cranking lure being smashed by a big bream while slow rolling over the flats, or that moment when a suspended hardbody on the pause is eyeballed by a big bream, for what seems like an eternity, before it decides enough is enough and sends your reel into a screaming frenzy. 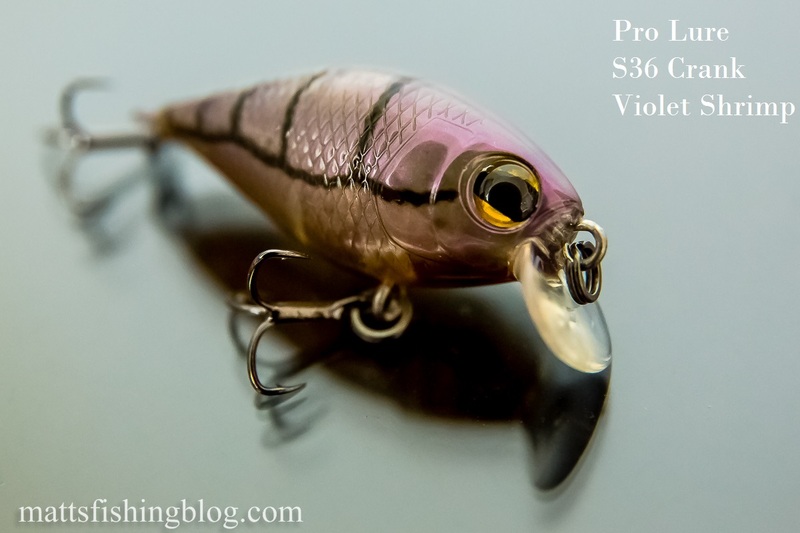 I’ve got a fair mix of lures but recently I have had some great success with the Pro Lure S36 range. These really are great bream lures. I’ve been using a mix of techniques that consist mostly of slow rolling with the occasional pause and twitch thrown in. 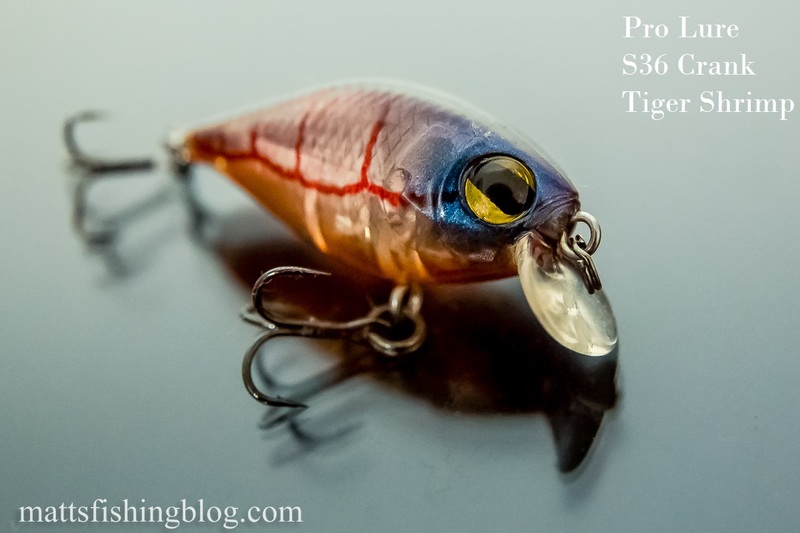 The colour range of the S36 Crank is great with my absolute favourite being the Tiger Shrimp. I also like the Phantom, Violet Shrimp & I picked up a Matt Black last week that I’m yet to try. The action is a really nice exaggerated wobble. They come in two depths – S36 (shallow) & D36 (deep diving). Hooks are good but the 38cm fork length bream I caught recently bent the hooks so badly they pretty much just fell apart getting out of the fish’s mouth. Best of all is the price. They are $13:95 at my local. 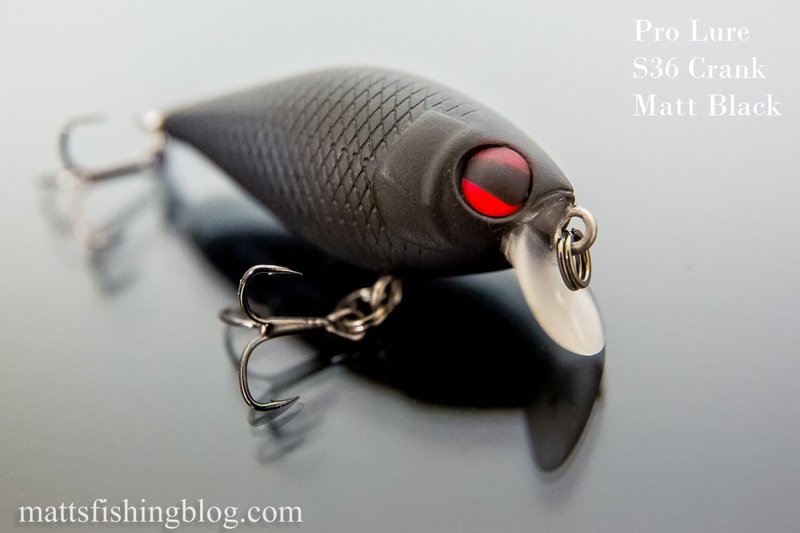 IMO Pro Lure have done a great thing keeping the price down. At around $6 cheaper than the Ecogear SX40 I find it hard to go past the S36. It’s really nice to see a high quality lure at a reasonable price in Australia (thanks Pro Lure). DEPTH: D36, 1.6-2m. S36, 0.4-1.2m. Overall I think Pro Lure have done a great job bringing us a high quality effective lure at a price that won’t break the bank. For now the S36 is my go to flats lure over weed beds. 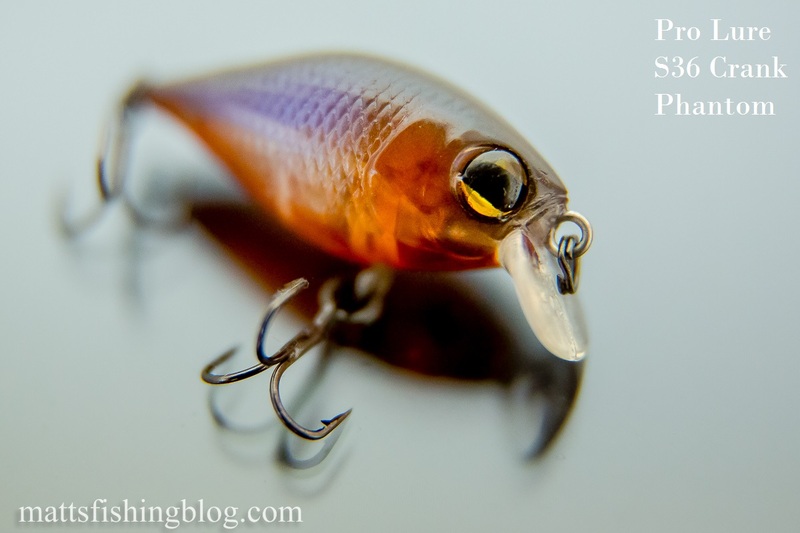 *Disclaimer – Matts Fishing Blog has no affiliation with the companies mentioned in this article. The content contained within Matts Fishing Blog has been provided in good faith and should be considered a general source of information only.